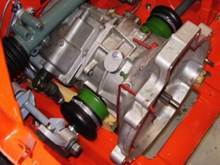 Ashcraft SAAB V4 Parts offers professional rebuilding services for the Saab V4 including engines, transmissions and many other component parts. We have over 45 years of rebuilding experience and we know these cars intimately. You send the part to us, we rebuild it and send it back to you ready to install. We offer two levels of engine rebuilding, standard and high-output, for both 1500 cc and 1700 cc motors. Our standard rebuild includes some power improvements over a stock motor due to larger pistons, larger valve sizes, mild exhaust porting, F4 spec. camshaft, and a lightened flywheel. 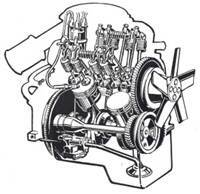 The horsepower gain is usually 20 to 25 hp over the stock V4 rating of 65 hp. High-Output rebuilds include oversize pistons, big-valve heads, mild porting, 2-bbl intake manifold, a Weber 2-bbl carburetor, choice of the F4 or F66 camshaft, engine balancing and a lightened flywheel. 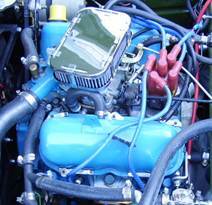 These engines usually net from 120 hp to 140 hp depending on the final displacement, camshaft selected and carburetion. They are strong, high-output engines and reliable for street use. We completely strip down the motor and inspect all critical parts for wear. Unusable parts are replaced. The block and heads are hot-tanked, cleaned and machined as needed then painted. 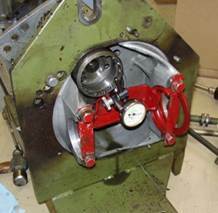 The crankshaft and rods are reused and machined as needed. We bore the block and install new .030” over pistons and rings. We install all new gaskets, bearings, seals and expansion plugs. We use new rod bolts/nuts and new flywheel bolts. A new oil pump, oil sender and oil pump drive shaft are used. The cylinder heads are surfaced and rebuilt with new guides, larger valves and hardened intake valves and seats. The rocker arm assemblies are rebuilt. A new water pump, thermostat and temperature sender are installed. 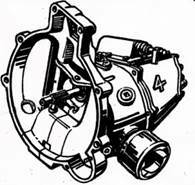 The distributor is rebuilt with new points, condenser, rotor, cap, wires, vacuum advance and the internal advance is re-curved for optimum performance. New spark plugs and a lightened flywheel are installed. 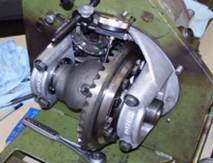 A newly reground F4 (or F-66) camshaft is used with new lifters. A new set of timing gears is installed and new mechanical fuel pump is installed. Rebuilding a SAAB V4 transmission is not an easy task and requires a special factory transmission jig and specialized tools in order to do a professional rebuild. 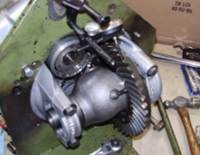 Internal gears and shafts are no longer supplied by any source so we use new old stock or the best used parts available for our rebuilds. We fabricate several of the smaller parts needed for a proper rebuild. Rebuilds include: New bearings, seals, gaskets, synchro-rings, release bearing & rebuilt release arm, plus our freewheel neuter kit. Replacement of any gears, shafts or other parts are extra-cost items. We use all the factory jigs/tools to insure the rebuild is done to Ashcraft standards! Send the part to us, we rebuild it and send it back to you ready to install.